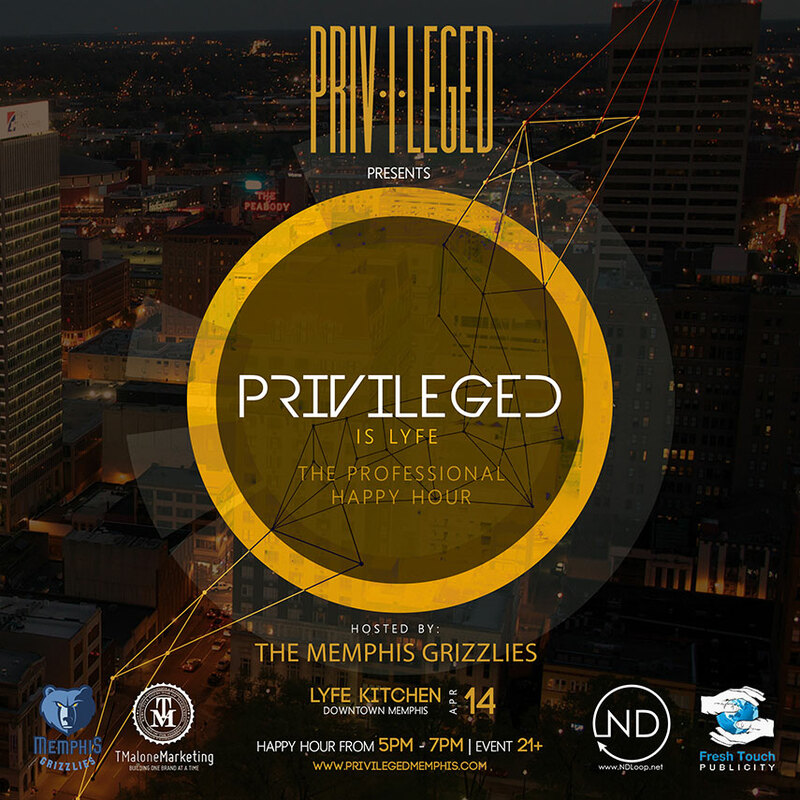 Privileged is LYFE is the ultimate happy hour for the downtowner looking to meet the new young professionals of Memphis. The energy of the young professionals in this city is high and the #PrivilegedIsLYFE happy hour is the place for young professionals to meet and exchange ideas and contacts that will continue broaden the up and coming horizon of Memphis. Come out and enjoy excellent drinks at the all new Lyfe Kitchen downtown on Main Street. We look forward to meeting everyone and for the official kickoff of our monthly happy hour event we will have the Memphis Grizzlies Grizz Girls there to welcome everyone. Welcome to the Privileged Lyfe!